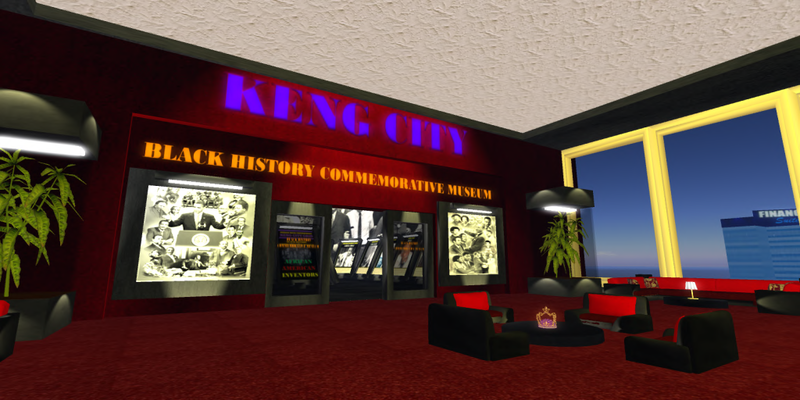 Keng City, OpenSim’s only major African-American grid is working to promote awareness and inclusivity on the hypergrid, and to battle prejudice, with exhibits, events, and destinations of interest. 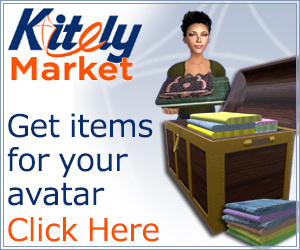 Even simple things, like finding appropriate avatars, can be a challenge for OpenSim’s users. 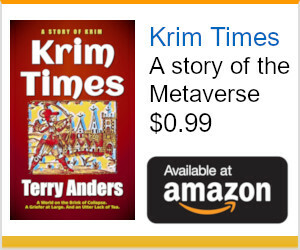 “We struggle finding culturally related items for our avatars,” grid owner Nubian Keng told Hypergrid Business. 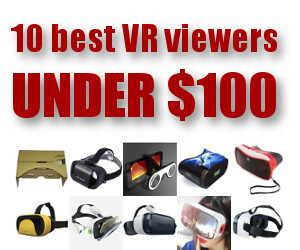 And even when appropriate avatars are available, some users find it uncomfortable to wear them. “Honestly, some hide behind white avatars just to get accepted into some virtual communities because they don’t want the hassle of revealing themselves as being African-American,” he said. To address this problem, Keng City hopes to become a motivational force for persons of color within the OpenSim community, he said. But reaching the public can be a challenge, Keng City CEO Antoinette Keng told Hypergrid Business. It’s a challenge that the grid is meeting head on. Last month, for example, Keng City had the most Gloebit transactions of any regions on the hypergrid. Keng City was founded in 2018 and featured a movie theater, lounges, and nightclubs. 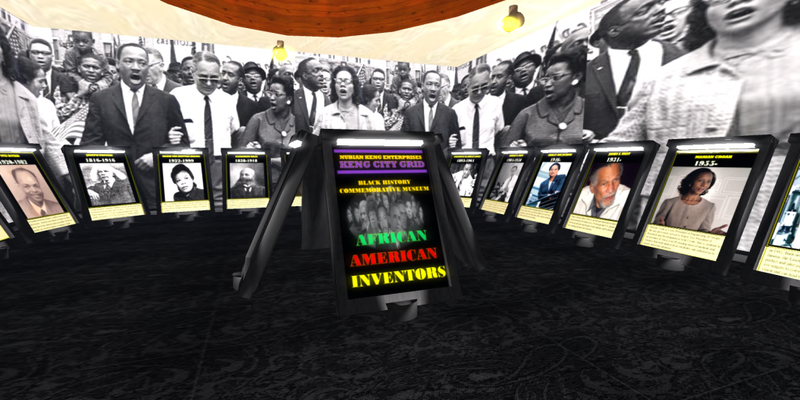 Last February, the grid celebrated Black History Month with the launch of a museum. When I visited the world for the first time, it blew me away. At the Commemorative Black History Museum, seeing the display of these incredible American Icons on the screen made me wish I could walk around it in real life. In fact, I’m a resident of Washington, D.C., and the museum reminded me of the Smithsonian. I then decided to kick up my heels at the Shantel Cigar Lounge. Courtesy of band delivering some hot Latin flava that night, I shimmied and shook my tail, even taking a chance on the dance pole. Lord was it super fun! The last place I checked out was Keng Skate. Even though I don’t skate much now as a kid it was a favorite past time of mine and being in this space brought back some great memories. A few days ago, I had the pleasure of interviewing this lovely duo for Hypergrid Business. 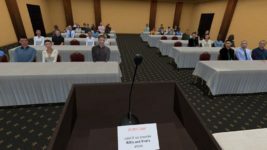 The discussion was inspirational for me, and I think, for anyone in and out of the OpenSim universe. Timeka Cobb: How did the two of you get your start in virtual worlds? 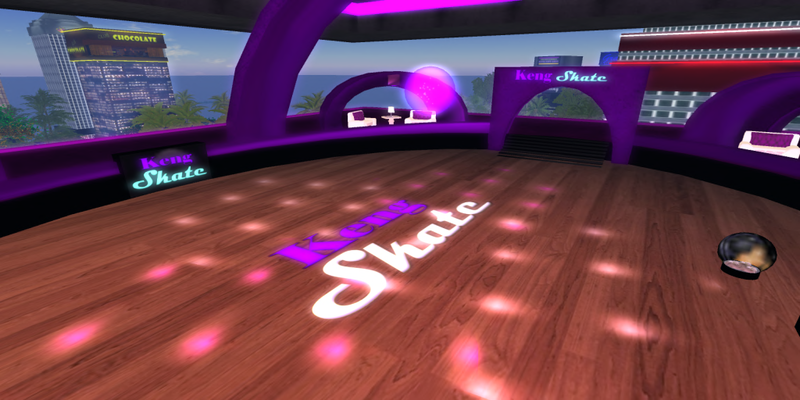 Antoinette Keng: Nubian and I have both been in virtual for about 10 years each. I began in IMVU and then moved on to Second Life fairly quickly. 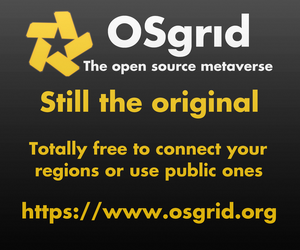 I only discovered the freedom of OpenSim a little over three years ago. Nubian began in Second Life, building his first Keng City on one sim. He moved to OpenSim about eight years ago and transitioned between many grids building bigger and better versions of Keng City with each move. Timeka Cobb: What was the vision behind Keng City? Antoinette Keng: From the beginning, Nubian had a vision of Keng City being a center of entertainment and shopping for not just people of color but everyone. 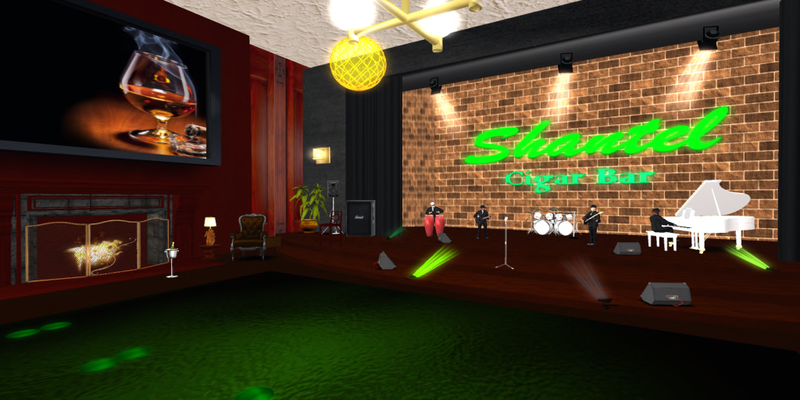 From the opening of his first modest build in Second Life to the opening of his own grid, he has striven to make a welcoming place where all, but especially POC could feel at home. Timeka Cobb: How long did it take to build this grid? Nubian Keng: When I first came to OpenSim I was trying to duplicate what I had in Second Life so it took me about 3-4 weeks on a 2×2 var region. But now that I am more experienced and have my files saved to my hard drive I can do it much quicker. I built up and completed the majority of this 10×10 main region in less than a month. 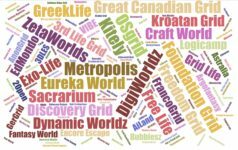 Timeka Cobb: What are the pros and cons of dealing with OpenSim and the hypergrid? Nubian Keng: The hypergrid is a system of transit between OpenSim grids. Now in comparing OpenSim to Second Life, the biggest pro is that land is much cheaper here. One main con is that each separate grid can often have their own currency or system of commerce in place. Gloebits have aided in that by being an OpenSim wide accepted monetary system. Timeka Cobb: What does the future like look for Keng City, and what plans do the two of you have for the grid and its brand? Nubian Keng: Keng City Grid plans to move forward into the future doing as we always have, using our creativeness to provide new experiences and entertainment to all of OpenSim while maintaining an open, friendly family approach to operating our grid. We plan to continue with our innovative marketing styles, expand on our Keng City News Network media outlet, our blog, and our retail shop selection. 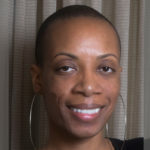 Timeka Cobb: What are your hopes and dreams for helping more persons of color becoming aware of OpenSim and using it? 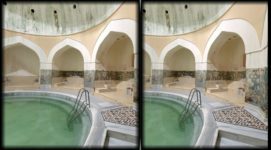 Nubian Keng: We are hopeful that as more people look for an alternative to Second Life they will discover OS and see that it is a viable option. One of the realizations we have come across in OpenSim is that when people come they want their avatar looking good. So we provide a platform to help them with that, whether they are people of color or not. 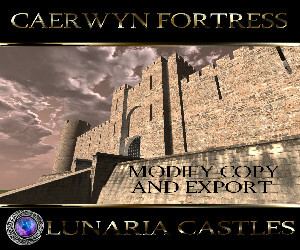 We also offer assistance with learning about the hypergrid and anything else they may ask for help with.